There are many braces for back pain available today. If fact, there are so many, how do you know which one to get? Braces for back problems are seen everywhere and there has been a tremendous influx of cheap imports that do basically nothing, except for your head. Meaning, many of the braces are designed like cheap foam neck collars; they do nothing for support and just give you a feeling or sensation of support, perhaps reminding you to keep the area protected or to move in a more careful manner. High performance back braces may help. Literature has shown that a commonly held belief by many doctors, that supportive braces will weaken muscles, is simply not true. 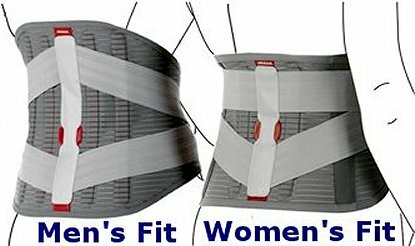 One of the main things to look for in a back brace is why you are using it and how does it fit? Back braces basically come in 2 forms; mechanical advantage belts and elastic belts. The mechanical advantage belts were popularized by Cybertech and then copied by others. The original is now Ottobock, which has kept the tradition with superior design and performance. They are German engineered and designed. The mechanical advantage belts use a six to one pull ratio and provide a great deal of force. They are easy to use and come with inserts that increase the surface area of support without being too bulky and uncomfortable. For those with back conditions that require high levels of support, this is what you want. Easy to adjust for when you need more or less force, and provides a level of support that is crucial for those who need to prevent further injury when lifting or have stability issues. The elastic belts come in a regular or slim fit. With these braces, they are not just an elastic material wrapped around your back. In general, men are shaped different than women. There are also different body types between same genders. One style does not fit both well, especially when wearing one all day. Easy to wear under cloths, but actually provides support for milder conditions like strained muscles or arthritis. It is comfortable enough to wear for extended periods and also has an optional insert to increase circulation and provide a massaging effect. When it comes to supports for back pain, quality design and construction, as well as proper fit make a big difference. 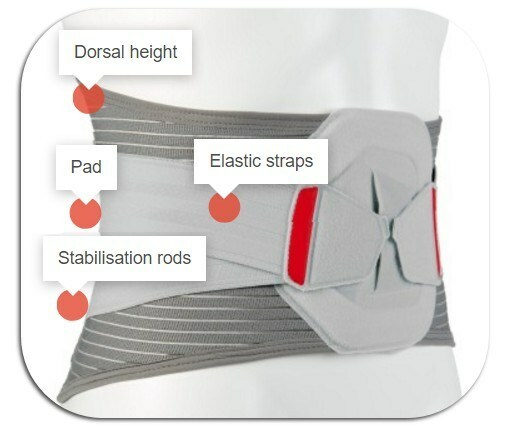 Choosing the right back brace is important as your condition is to you. You can get a very inexpensive one just about anywhere these days, but when it comes to protection and relief, we only offer a select few high quality braces that can make a difference. Some places offer dozens of these supports and it becomes difficult to make a choice. Many are cheaper knock-offs or look-a-likes. People looking for relief often spend large sums on cheaper braces, not getting results and giving up. This can help give back braces a bad reputation, and while there are never guarantees due to the many variables associated with back pain, it is why we only offer very high quality, high performance back braces. Insurance companies know the difference and ours are coded and approved for you or your health professional to submit.